Contains all eight essential amino acids in a ratio designed for best results. 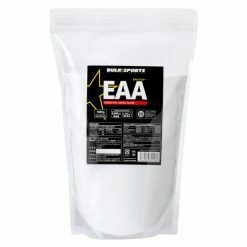 Popular as a natural anabolic supplement, Bulk Sports EAA has been made for athletes who are doing weight training for the purpose of bodybuilding . All eight types of essential amino acids are contained in ideal proportions for bodybuilding. This product increases amino acid concentration in the blood more than whole protein, and is thus very beneficial to the athlete. 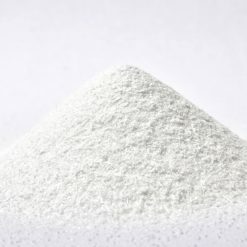 Moreover, the branched-amino acids leucine, isoleucine, and valine are also found in EAA. Mix with 300mL of water before and after training. If you weigh 70kg or less, use one scoop. From 70-100kg of body weight, use 1.5 scoops. If you weigh more than 100kg, use two scoops. It is recommended to take EAA with Bioperine. Take before and after weight training. 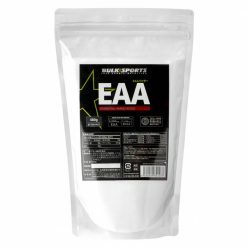 For best results, use Bulk Sports MD with EAA before, Bulk Sports BCAA during, and EAA, MD, and Big Whey (or IsoPro) after training to further support muscle growth. Those with phenylketonuria (unable to metabolize phenylalanine) should not use this product.